Causes of Depression: What Causes Depression? There’s no simple answer to what causes depression. The type of depression a person experiences is associated with a unique set of causes, and a person may experience depression due to stress, vulnerability, or a greater predisposition to depression, among others. Determining the cause of depression is important when it comes to designing the right treatment, therefore it’s important to thoroughly consider all of the physical, psychological, and biological factors that could play a role. Depression may be due to biological changes, including changes in brain anatomy and chemistry. For example, a part of the brain called the hippocampus has been shown to be smaller in some individuals who suffer from depression. The hippocampus helps with storing memories and contains receptors for a chemical called serotonin. Serotonin allows for communication between different parts of the brain and allows for the processing of emotions. When the hippocampus is smaller than normal, it contains fewer serotonin receptors, which may play a role in changes in emotion. Scientists do not know why the hippocampus becomes smaller in those who suffer from depression. Some suggest that it may be due to excessive cortisol levels. Cortisol can be produces in excess in those with depression. Cortisol is a stress hormone believed to have a shrinking effect on the hippocampus. Other experts theorize that those who suffer from depression are born with a smaller hippocampus, and those who are born with a smaller hippocampus are more inclined to suffer from depression. In addition to the hippocampus, there are many other brain regions and changes in brain chemistry that are thought to be involved in depression. Antidepressants may produce a neurotrophic effect, which means they prevent nerve cells from dying, sustain them, and allow them to form better connections. Antidepressants can be extremely effective in treating depression, which demonstrates the important role of brain chemistry. Despite these findings, no single brain pathway or region can fully account for depression. 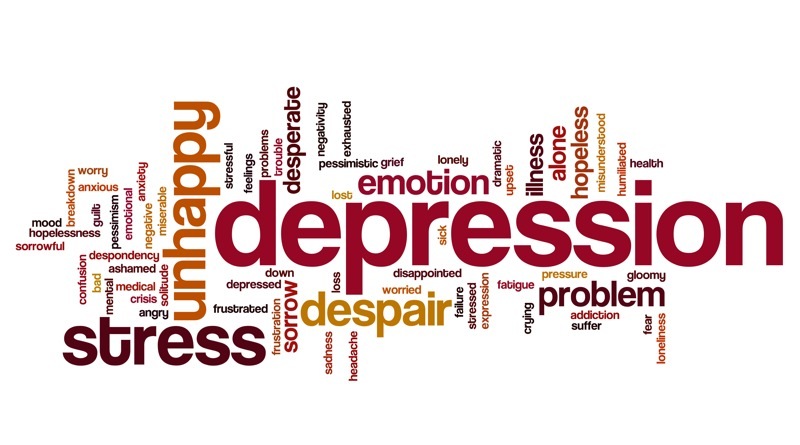 Depression has been and remains a complex condition with many causes and contributing factors. As research continues to determine what causes depression, better treatments will continue to evolve. Depression is likely linked to genetics, at least in part. Children, parents, and siblings of those who suffer from depression are more likely to develop depression themselves. There are multiple genes that can interact with one another to contribute to the development of depression and the type of depression one experiences. Despite this, there is no proof of a single “depression gene”. Instead, there is more than one gene that contributes to the development of depression. Barbiturates, benzodiazepines, and isotretinoin are more commonly associated with depression in older adults. Corticosteroids, opioids, and anticholinergics can cause brief changes in mood in addition to depression. Chronic illness is also associated with the development of depression. By definition, chronic illness is an illness that lasts for an extended period of time. Despite this, chronic illnesses can be treated and controlled with changes in lifestyle, exercise, diet, and medication. Chronic pain is defined as a pain that lingers for an extended period of time, ranging from weeks to months. In addition to the pain itself, chronic pain can disturb sleep, the ability to be active and to exercise, mood, relationships, and productivity in general. Therefore, chronic pain may lead to feeling isolated, sadness, and can be associated with the development of depression. Grief is a normal response to loss and a common cause of depression. Loss can lead to great amounts of pain and grief. These include the death or separation from someone you love, loss of a job, loss of home, death of a beloved pet, or many other big life changes. One can also suffer from grief as a result of a divorce, knowledge of being sick, or even retirement. People are full of emotion. We all experience grief or loss at some point in our lives, but this does not necessarily guarantee that depression will develop. Whether or not a person will develop depression depends on the individual case. There are many causes of depression, and depression can develop at many points in our lives and for many reasons. There is no cure for depression, but it can be treated in many ways, including medical interventions, lifestyle changes, and conversation. If you are experiencing signs of depression, it’s important that you consult a medical professional who can help you determine the cause and the best treatment options.